Tarbiyah Academy is a proposed new private Islamic School to be located in Howard County Maryland. Tarbiyah Academy will be the first Islamic School to offer the International Baccalaureate Program, the gold standard in academic excellence, targeted towards the needs of the Muslim community. The objective of Tarbiyah Academy is to provide the highest caliber of education and a solid Islamic foundation to develop socially responsible, well-rounded American-Muslim children. This project is founded by a Board of six people with talents and education ranging from education, engineering, business, and medicine. Using their broad base of experience along with the expertise of a variety of community members will help to ensure that Tarbiyah Academy becomes the best educational opportunity for the community. The Board has assembled a team of people and specialists that have the experience and skills to help them to successfully start and operate Tarbiyah Academy. Tarbiyah Academy will be located in Howard County. Currently there are no Islamic schools in Howard County. There are two other Islamic Schools in the vicinity; however neither school offers the International Baccalaureate program. In addition, Tarbiyah academy will be the only Islamic school that is not directly affiliated with a mosque. This will be a school that is accessible to Muslims in Howard County as well as the surrounding counties of Montgomery, Baltimore, and Prince George’s County. 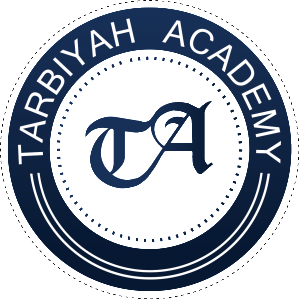 Tarbiyah Academy will be the one school to offer an academically rigorous program coupled with a strong Arabic/Islamic Studies Curriculum. Tarbiyah Academy will function as a non-public private school. It will be a not-for-profit institute that is focuses on the community and the needs of its children. It is not intended to be a profitable business. All income from the school will be returned into the school. The Head of School will be responsible for the day to day operations and will report to the Board. Qualified, certified teachers will be responsible for the curriculum and the students. Islamic studies will be taught by a trained and certified teacher holding ijaza in at least two subject areas. Staff members will be hired to operate the front office, as well as after school programs which will bring in additional revenue. The school will be financially viable from the first day of operations. Based the collection of primary data from a market study conducted by the school’s specialist consultants (The Independent School Performance Group), 84 students paying an average of $6,900 annual tuition will attend the first year. The enrollment is projected to increase to 95 in year two and year three of the school’s life. After all expenses are paid, including staffing, benefits, building fees, and materials, Tarbiyah will run a surplus starting in the first year of operation and experience greater surpluses in both years two and three. To help form the school and continue to drive enrollment, a comprehensive strategy will be developed by the school’s Board of Directors. The school’s marketing strategy will include a variety of best practices, and will position Tarbiyah Academy to be able to recruit greater number of students than their competitor schools. Tarbiyah Academy will require a capital investment to fund its start-up costs and operational cash flow needs for the first three years. Although based upon the primary data the school will run an operational surplus in its inaugural year, the costs associated with preparing the school to operate are additional. The capital investment is projected at $700,000 to start up and provide operational cash flow for the first three years. To date $300,000 has been raised $400,000 is the final target to be reached. For Tarbiyah Academy to open for classes in the fall of 2015, pledged funds must be in place by Dectember 31, 2014. This will give the Board and its service providers nine months for the school to plan and implement the start-up phase of the school. There is a clear need for an alternative educational option for the Islamic community in Howard County. Tarbiyah Academy will deliver an academically rigorous, Islamic based, education that will create the future Muslim/American thought leaders.